We have a relationship with the Eastern PA Animal Alliance (EPAA). 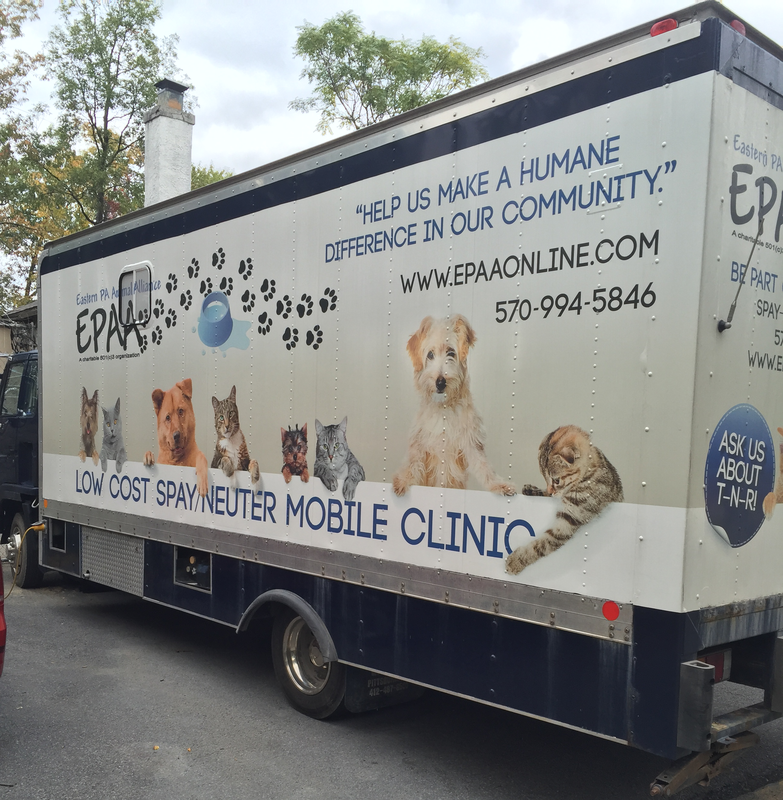 EPAA operates a Spaymobile unit that visits different sites in Northeast Pennsylvania. For ferals/stray cats they provide a rabies shot and low cost spay/neuter services. It is a same day procedure -- the cats are dropped off at the Spaymobile site in the morning and are ready for pickup the same day. Go on the EPAA website and choose the date and location that works best for you. If you are able to pay, make your appointment directly on the website. If you require financial assistance from Gathering Place Animal Rescue, contact us to obtain a voucher for each cat first. Gathering Place Animal Rescue pays $30 per cat directly to EPAA. All healthy cats over the age of 3 months, weighing at least 3 pounds are eligible for surgery. Surgery is performed at the discretion of the veterinarian.